Arrow Disposal Service is a full service waste hauling and recycling company that prides itself on its ability to provide superior service through partnerships with federal and local Government entities. emphasizing a service-first philosophy. Urrutia Inc. quickly evolved into one of the largest privately held refuse companies in Alabama and was eventually acquired by a capital investment firm. 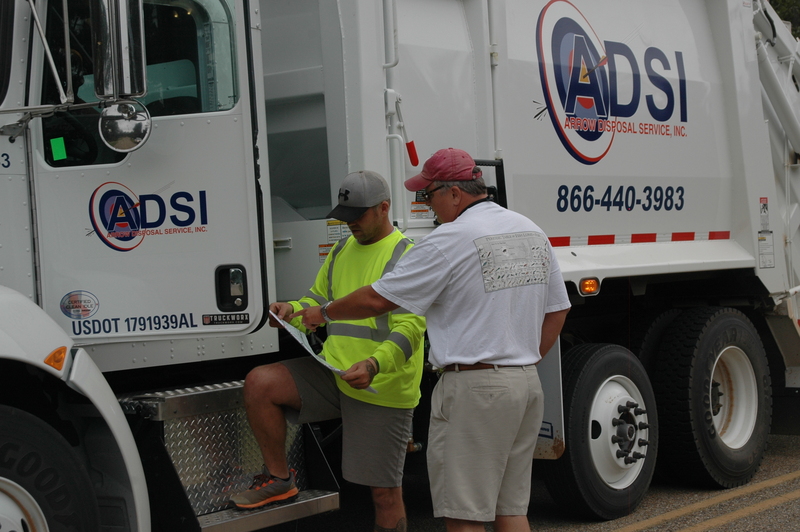 Intent on duplicating their prior successes, Mr. Urrutia and his experienced corporate team assembled a new solid waste collection company named Arrow Disposal Service Incorporated (ADSI). The name may have changed, but the service remains the same. At Arrow Disposal, superior service is our #1 priority. We take special pride in delivering the best solid waste collection, disposal, and recycling services in the industry. We are known as a company with a very hands-on attitude that get the job done right. Our experienced corporate team has provided residential refuse and/or recycling services for counties and municipalities ranging in size from 500 to 22,000 customers. We also have extensive experience in providing commercial dumpster, roll-off, and compactor services. In addition, we have partnered with the U.S. Military to provide waste management services for Army, Air Force, and Navy Bases across the United States. We truly hope that you will consider Arrow Disposal Service as the solution to all your waste management needs! Customer Satisfaction is the most important aspect of our business.